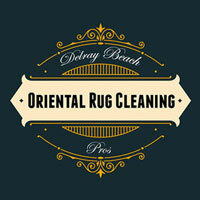 At Delray Beach Oriental Rug Cleaning Pros, we specialize in Oriental rug cleaning and repairs in Boynton Beach, FL. Our cleaning process is never complete until we are completely satisfied that we have been able to remove all the soils from the rugs. If soils remain, we do another fresh water rinse to remove remaining soils as well as the cleaning agents we have used. It is very important not to leave any residue in the rugs. 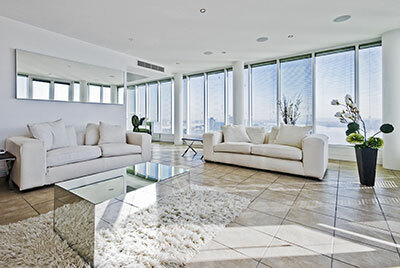 The rugs must remain in their natural state without anything that may re-attract soils or harm the fibers. Most rugs then go through our rinse/wringer for the final fresh water rinse and to removed excess water. Early home washing machines incorporated a wringer built on the side of the machine. After clothes were washed, they were then wrung out to remove excess water. This would speed up drying when they were hung on clothes lines. This wringing process allows us to detect if any soils remain in the rug by watching the water that is being pressed out. If we do see soiled water, the rug goes back through the wash process until clear water is running out during the wringing process. After the rugs have been dried, they are inspected to see if there are trouble spots that may have been missed while the rugs were wet. Fringes are checked to see if any additional work may be needed. If all is well, the rugs are then rolled and stretch wrapped and placed on our shelves to await pick up or delivery. Some of our clients ask that the rugs be wrapped for storage and we use a breathable tear resistant plastic. The key here is to make sure the plastic can allow for air exchange and minimize the ability for bugs to get to the rug. Over time, rugs will need repairs. 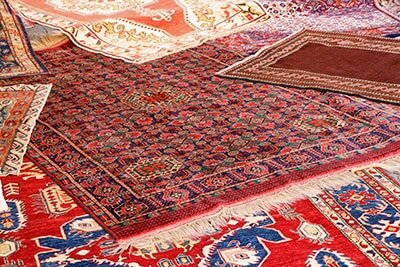 Rugs are beautiful works of art and often mistreated from the first day of their life. Rugs are prone to damage from traffic, lack of maintenance, sun light, atmospheric conditions, pets, soil and so much more. The most common types of repairs we see are damaged side cords that are unraveling or ends that are no longer holding the fibers to the rug. These types of damages (like anything else in life) are better when dealt with sooner rather than later. Damage left unattended, becomes more difficult to repair. Worn side cords can usually be re-wrapped easily and inexpensively but if the side warps (the yarns running the length of the rug) become broken then the repair becomes more costly. If left unattended, then fiber loss happens and that can be more difficult to repair and sometimes cost prohibitive. The fringes are notorious for defeat to the common household vacuum cleaner. When the rug is hand knotted, the fringe is part of the rug. Some rugs have a fake fringe added to imitate the look of a hand knotted rug. The rugs will begin to unravel when worn fringe, damaged beyond the knot and left in disrepair can no longer hold fibers in place. The selvage edge (side cords) and the fringe make up the frame of the rug so repairs to these areas performed early will extend the life of the rug and help maintain the monetary value. On occasion, chunks of the rug are missing from damage caused by animals, overwatered plants sitting on the rug or moving accidents to name a few. Do not worry; we can re-weave these areas to return the rug back to a useful condition. On occasion, we will insert a “patch” from another rug similar to the one being repaired. Some of our clients at Delray Beach Oriental Rug Cleaning Pros have brought rugs to us that they love and want resized to fit into a different room. We can reduce the size of the rug to fit as needed and still maintain the pattern and balance of the rug in a smaller version.